Interior Designers are the ones who design and style the interiors of any indoor space, be it apartments, bunglows etc. To bring alive a setup, effective designing and arrangement are essential. Business firms dealing in operations like event management, wedding management, home, and office décor, car interiors etc look to bring interior designers on board. An Interior should possess good listening skills (so, as to carefully listen to the designing needs of the clients) and creative abilities. He/she can turn a simplistic surrounding into an aesthetically organized space with the charm of his/her creativity and designing sense. Hire Interior designer online is the thought that pops up when recruitment of such a professional becomes a need for the firm. Creating a beautiful home is everyone’s dream come true. If you are looking forward to hire interior designer for your apartment, we are here to help you out with the same. We ensure to hire an accredited interior designer with a creative mind. We help you in hiring experienced and professional interior designer who can help you in designing your home as per your style. Whether it is about hiring interior designer for a commercial space or an apartment, to bring them smoothly on board a recruitment agency is best suited. So, firms reach out to recruitment agencies and hire their services for recruitment of effective and efficient interior designers for their business needs. Recruitment agencies on their part make the process of recruitment smooth and easy. Alliance recruitment agency has helped recruit excellent interior designers to over a thousand firms. The understanding of recruitment ecosystem and global recruitment operations, make us the first choice for any kind of staffing/manpower need. The extent of internet technology has not left the domain of hiring and recruitment untouched. 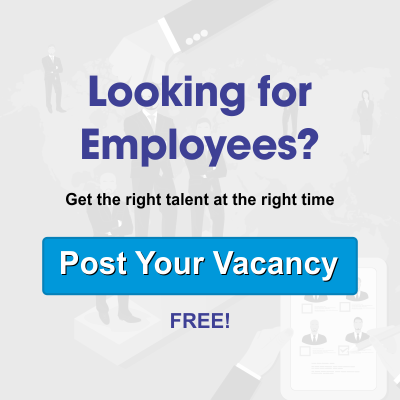 Like the quick and easy on the go experience of online shopping, there are benefits of taking your recruitment process online. Hiring Alliance as your recruitment partner brings you all these and much more benefits. We take care of your staffing needs in a comprehensive and holistic manner and offer you solutions in sync with your manpower needs. Building a name for your brand in the market is a task that requires years of dedication and hard work in the service of clients. We at Alliance have been doing that for a long time. Alliance recruitment agency has developed its reputation as a recruitment leader by committing to the needs of its clients. Having offered solutions to firms in Surrey, London, Ottawa, Chicago, Dubai, Mumbai, Tel Aviv etc we have build a robust network of global recruiters for the needs of our clients. Firms looking for Interior designers and job seeking designers looking for desirous opportunities in India and abroad can get in touch with Alliance at our official website www.alliancerecruitmentagency.com We would be happy to serve your needs in a quick and effective manner.